© 2014 Amplitude Studios. All rights reserved. 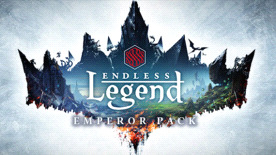 Endless Legend, GAMES2GETHER, Amplitude Studios and Amplitude Studios logo are trademarks of Amplitude Studios in the U.S. and other countries. *Amplitude Studios reserves the rights to monitor, suspend or terminate access to the Amplitude Studios forums for any user who does not abide by the guidelines found here.